– John, what can you say about the performance of your team on this tournament? 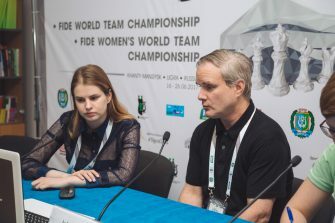 – We started a little bit slowly on the tournament, several our players came from the Western part of the United States and suffered from a 12-hours time-difference from Khanty-Mansiysk, jetlag is always an issue. They have started to sleep more normally now and they played a good match yesterday against China so I am hoping that they will get in a better form starting from this match. 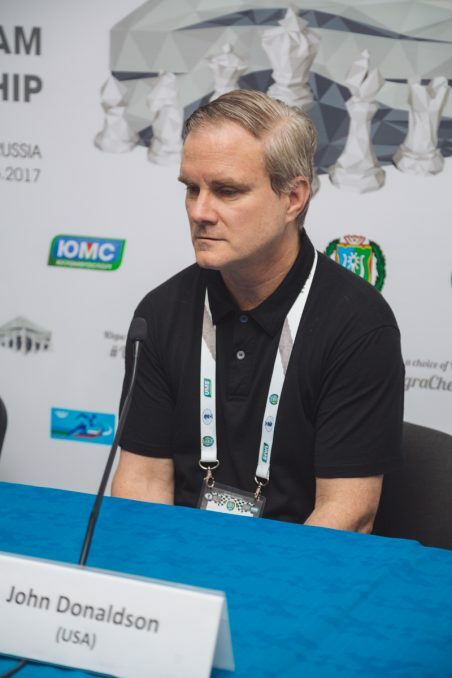 – The USA is now one of the main chess countries of the world. We have 3 representatives of your country in top-10 list. 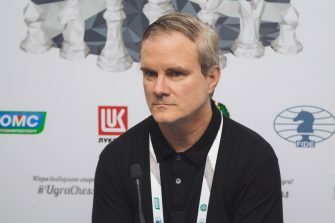 What can you say about the situation with chess in the United States? Is it played in schools, for example? – Chess is becoming much more popular in the United States in the last decade. In 1972, of course, there was the Spassky – Fischer match and that was the first time when chess became very well known to the general public. There were fewer things at that time that were able to compete for people’s interest so there were a lot of people to play. But they were mostly adults. Now the situation is much different. 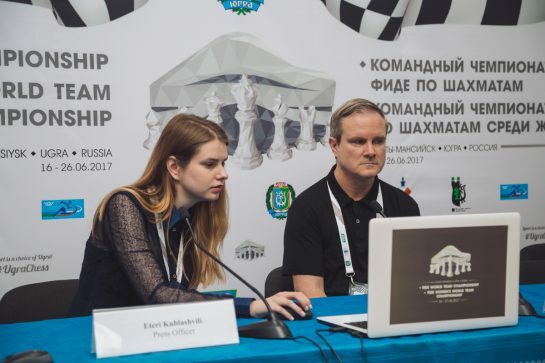 I would say probably maybe three quarters of the people that play chess in the United States now according to our Federation are under the age of 21. We don’t have chess nationwide as a part of the curriculum in schools. But there are many individual schools that do have chess programs. There are many children that are playing now and they are doing it pretty seriously and pretty well. We are also happy with the fact that in Saint Louis Rex Sinquefield and his wife Jeanne are great patrons of the game and they’ve organized a lot of strong tournaments in Saint Louis. And that was very helpful not just for top three players that are playing in elite tournaments but they also organized tournaments for players below the elite level. 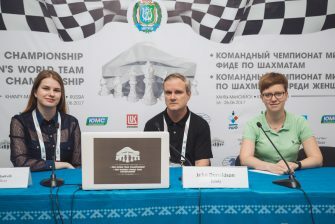 For example, GM Fedoseev played a tournament in Saint Louis earlier this year. This is important because you can’t just have three players, you need to have a large base. 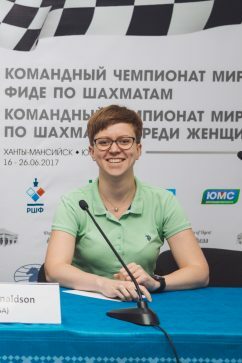 Although we won on the last Olympiad, Russia has many more good players than we do. So we hope to improve our level to have more and more strong players but there’s a lot of work ahead. 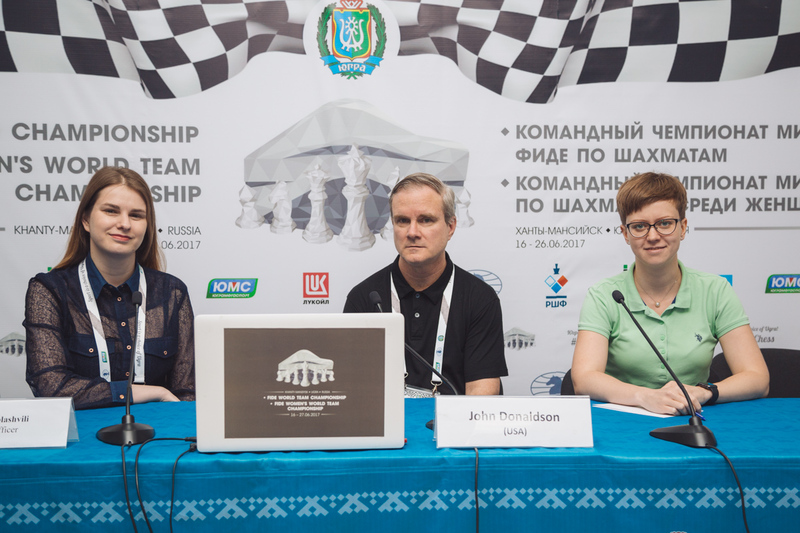 – The world championship match between Carlsen and Karjakin was played in New-York in 2016. Was it widely covered by TV and other media in the USA? – It was and I think it was very well organized. But, of course, it was different from the way it was in 1970-ies. There were very few things to compete with at that time for news interest. Now there are so many other things going on in the world. Anyway, it was well received and it got a lot of media attention. But I think that chess is still much more popular in Russia than it is in the United States. For example, when I was in the airport of Khanty-Mansiysk when I picked up the luggage trolley there was an advertisement for Sergey Karjakin. It is not like that in the United States, I am afraid.